September 15th is known in the kidlit world as International Dot Day. Inspired by Peter H. Reynold's book, The Dot (2003), International Dot Day is a "celebration of creativity" that challenges us to "make our mark and see where it takes us." Vocal music teacher, FableVision Learning Ambassador, Dot Day Fan, and Creativity Champion, TJ Shay invited Tim and I to make our mark. Here is the dot that we created for the Celebridot website. Reading is an adventure. Be a pirate! Last May, there were nine different wildfires in San Diego. Two of the largest fires were just a few miles from our home. Even though we did not have to evacuate, I decided to err on the side of caution and gather up important documents in case we did. I grabbed the deed to the house, our birth certificates and the like, but what I worried about most were old family photos - the only picture that I have of my great-great parents, baby pictures of my mom and dad, and of course, my own baby pictures - all of which were taken before digital cameras were available. These pictures are precious to me. Photographs not only document lives, they preserve memories. And no one understood that better than George Eastman, the subject of Lynda Pflueger's non-fiction biography for children, George Eastman: Bringing Photography to the People. Most people know Eastman as the visionary who transformed photography from an expensive hobby of a few devotees into a relatively inexpensive and immensely popular pastime. Pflueger's biography digs deeper and introduces us to a multi-faceted Renaissance man. In the same spirit, I asked Lynda to tell us a bit about herself and her project. A long-time member of SCBWI, I got to know Lynda better when she and I enrolled in a drawing class at UCSD Extension. MW: What made you want to write for children? LP: I started writing for children when my daughter was growing up. It was hard to find good biographies for her to read. That is when I started researching people to write about. I sent a short biography of Thomas Nast, the political cartoonist, to Highlights Magazine. The article was rejected but the editor wrote me a personal note and encouraged me to continue writing. then, I joined SCBWI and found my tribe. MW: What inspired you to write about George Eastman? LP: I was given a Kodak camera when I was a teenager. I never thought about who invented it. All I knew was that I liked taking snapshots. Many years later, I visited by family in Rochester, New York and toured the George Eastman House. From the docent I learned that George Eastman invented the word "Kodak" and it became his company's trademark. Then I went upstairs and viewed a display of Brownie cameras. The display mentioned a big camera give away that George Eastman sponsored. I remembered my grandmother telling me she had been given a Brownie camera, from her local camera shop, when she was twelve years old. I was hooked. MW: Are you an avid photographer or do you have a special interest in photography? LP: I like taking snapshots of my family and recording my travels with photographs. But, I am really an amateur photographer. MW: How does one make a non-fiction topic exciting and engaging for young readers? LP: I pretend that I have a 10 year old sitting beside me while I am researching a book. I try to find information that piques their interest or would make them want to know more. And, of course, I am always asking my favorite question and theirs, "Why?" MW: What are some of your favorite biographies? LP: My three favorite biographies are: "We Are One: The Story of Bayard Rustin" by Larry Dane Brimner, "Thomas Jefferson: Man on the Mountain" by Natalie S. Bober, and "Franklin and Eleanor" by Cheryl Harness. MW: What advice do you have for aspiring authors? LP: Read, Read, Read! Join the Society of Children's Book Writers and Illustrators (SCBWI) and find your local chapter. If there isn't one, start one. MW: What can we expect next from you? LP: I am researching a book about Lady Bird Johnson's whistle stop tour of the South in 1963. Plus, I am interested in writing about her husband. I think history has overlooked the importance of his presidency concerning civil rights. Lynda will be celebrating the release of her book, George Eastman: Bringing Photography to the People, tonight, September 29, from 6:30 – 8:30 p.m. at Hera Hub, 5205 Avenida Encinas, Suite A, Carlsbad, CA, 92008.
International Talk Like A Pirate Day (ITLAPD) is Saturday, September 19th. What began as a small-scale celebration of pirate loving pals, ITLAPD garnered national attention when columnist, Dave Barry endorsed John Bauer's and Mark Summers' swashbucklin' good idea in his syndicated newspaper column in 2002. Thirteen years later, the celebration continues! If you'd like to celebrate ITLAPD, here is a list of pirate picture books and easy readers for you and your wee mutineers to enjoy! How I Became A Pirate by Melinda Long and David Shannon is one of my family's favorite books. And the first line is one of the best ever written - "Pirates have green teeth when they have any teeth at all." So begins the adventure of Jeremy Jacob. After encountering Braid Beard on the beach, Jeremy accepts the pirate captain's invitation to join his crew. 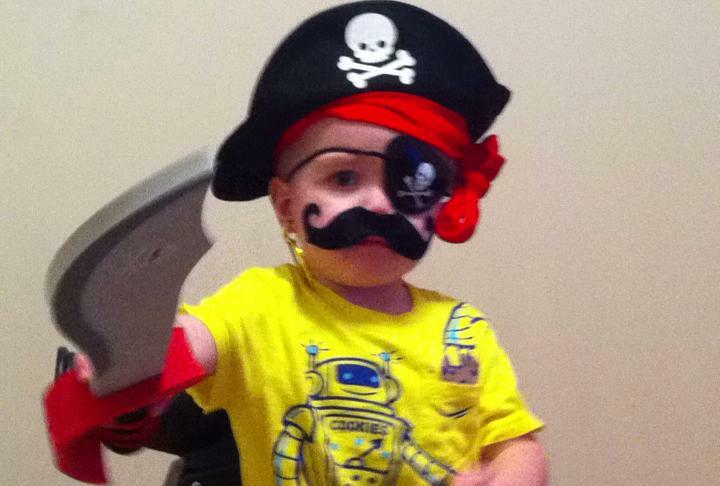 But when Jeremy finds out that pirates don't get bedtime stories, Jeremy reconsiders his decision. Shannon's expressive illustrations perfectly compliment Long's humorous tale. Long and Shannon's follow up, Pirate's Don't Change Diapers, is as charming as the first! When Braid Beard and his crew return to Jeremy Jacob's house, they accidentally wake his baby sister. Hi-jinks ensue as the pirates become babysitters for the wee mutineer. Perhaps even funnier than How I Became A Pirate, this sequel is a gem! Corrine Demas and John Manders send pirates on an educational adventure in Pirates Go to School, a rollicking, rhyming, re-imagining of the school day from a pirate's perspective. 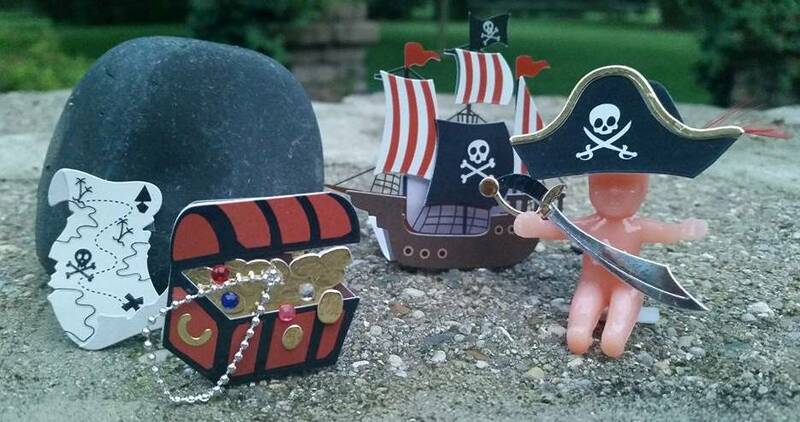 Perfect for pre-K and elementary alike, Pirates Go To School will have kids saying, "Yo, ho, ho, we're so cool. We are pirates and we love school!" Also illustrated by John Manders is Carolyn Crimi's Henry and the Buccaneer Bunnies. Buccaneer Bunnies? How funny is that? Henry is not your typical buccaneer. Instead of performing his pirate duties, he'd rather read books. Henry's reading habit angers his father and the rest of the crew of the Salty Carrot. But when the buccaneer bunnies are shipwrecked on a deserted island, Henry's book smarts save the day. Hooray for book loving buccaneer bunnies! A pirate after me own heart! Shiver me whiskers! Pirate mice! 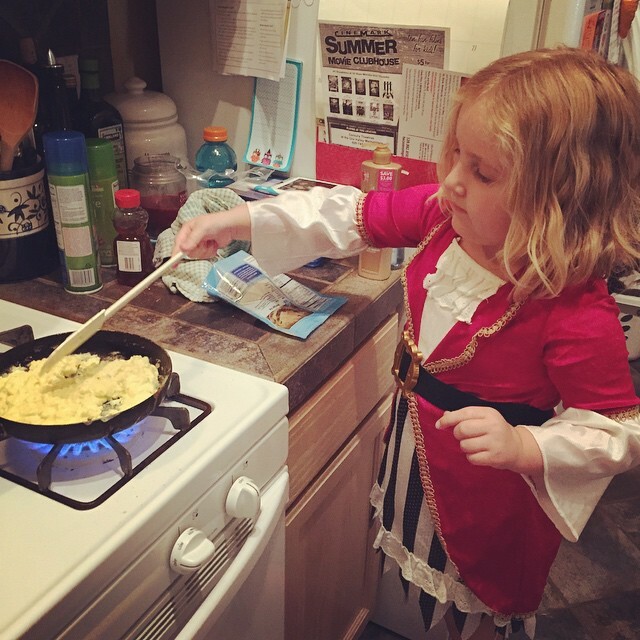 Riff Raff Sails the High Cheese by Susan Schade andAnne Kennedy is an adorable early reader about a lost chunk of cheese and the mice's quest to recapture their stolen treasure. Munster, Colby, Cheddar and Brie are part of Riff Raff's crew and while parents may groan at the humor, wee mutineers will enjoy this delicious tale. Another early reader for pirate loving kids is Deborah Underwood's Pirate Mom, illustrated by Stephen Gilpin. 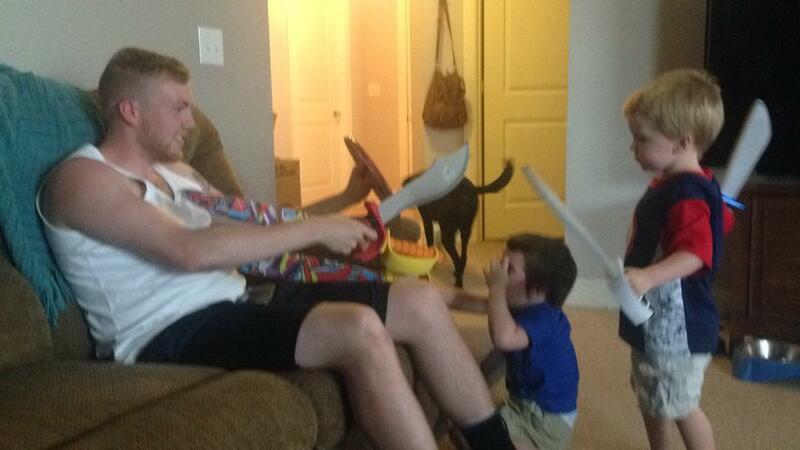 Pete loves pirates, but his mom thinks they are rude and messy. Then Pete and his mom go to see the Amazing Marco, and Marco hypnotizes Pete’s mom into thinking she’s a pirate! Now Pete’s mom won’t behave. Pete wants his real mom back. But can Pete find the Amazing Marco in time? Funny stuff! Next up are two from Sudipta Bardhan-Quallen, Half-Pint Pete the Pirate and Pirate Princess. Illustrated by Geraldo Valerio, Half-Pint Pete the Pirate is both an adventure tale and a love story. When Half-Pint Pete sets out with half a map, he meets Half-Baked Belle. The two work together to find treasure and, in the process, they discover something unexpected - love for each other. Awe! In Pirate Princess illustrated by Jill McElmurry, Bardham-Quallen overthrows gender stereotypes by introducing an atypical princess, one more interested in pirate ships than tea parties. A raucous tale of girl power! Huzzah! Another book that challenges gender stereotypes is the late Peter Harris's The Night Pirates, illustrated by Deborah Allwright. When a rough, tough band of girl pirates comes to steal the front of young Tom's house, Tom asks to join the crew. He is welcomed aboard without reservation and they set sail to an island where some rather lazy and silly grown-up pirates are guarding their treasure. 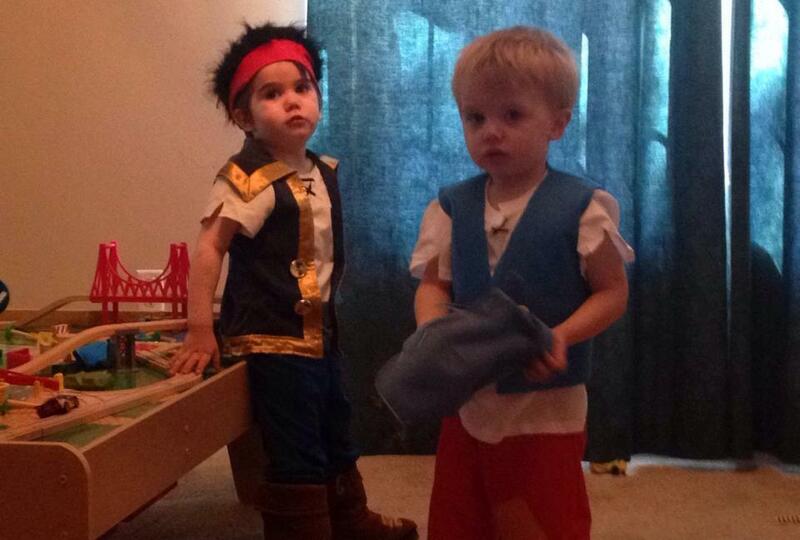 "If you don't give me back my treasure, I'll tell my mommy!" is the funniest line in the book and one that deserves to be shouted at the top of yer lungs, matey! Pajama Pirates by Andrew Kramer and Leslie Lammle is a lovely bedtime book for younger children. 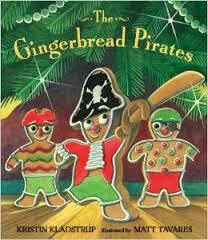 Told in gentle rhyme, three young pirates set sail on a nighttime adventure filed with pirate ships and sword fights. After Mother Nature calls the pirates home to bed, their adventure continues...in their dreams. Lammle's illustrations are ethereal. Also for the toddler set - two bright, fun concept books. Pirate Nap by Danna Smith and Valeria Petrone, a color book, and Twenty-six Pirates, an alphabet book from Dave Horowitz. Last but not least - two books that prove that pirates are great at any time of the year - Kristin Kladstrup's and Matt Tavares's Gingerbread Pirates and A Pirate's Twelve Days of Christmas by Philip Yates and Sebastia Serra. The Gingerbread Pirates is a funny Christmas story about a gingerbread pirate, Captain Cookie, and his daring adventure on Christmas eve to rescue his crew from a mysterious cannibal named - yup, you guessed it, Santa Claus! A Pirate' s Night Before Christmas is a pirate-y re-imagining of the Clement Moore poem, "The Night Before Christmas while A Pirate's Twelve Days of Christmas is a twist on the classic Christmas song. Do you have a favorite pirate story? 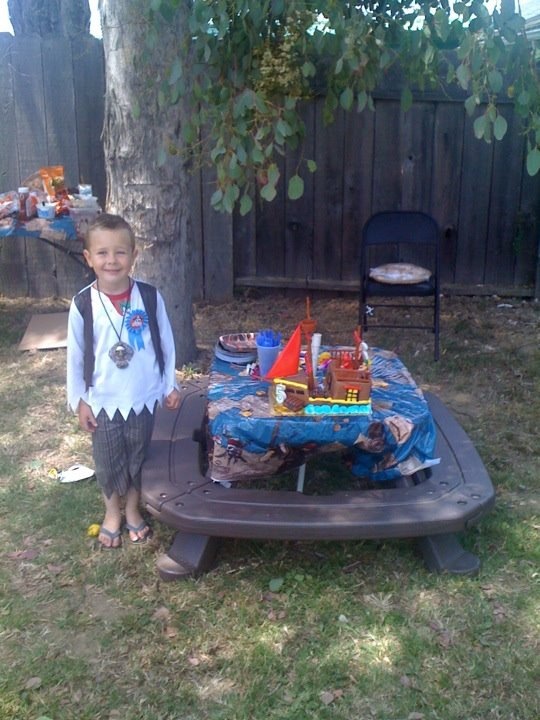 How are you going to celebrate Talk Like A Pirate Day? Comment and win an autographed copy of Pirate's Lullaby: Mutiny at Bedtime! Winner chosen at random. I'll announce on 9/26.